So your traffic website visitors are hitting your goals, but if you are not convincing these visitors to convert, you won’t see a boost in sales, revenue, or ROI this year. Your conversion rate is a key metric that shows how and when website visitors are taking the effort to take further action with your company. 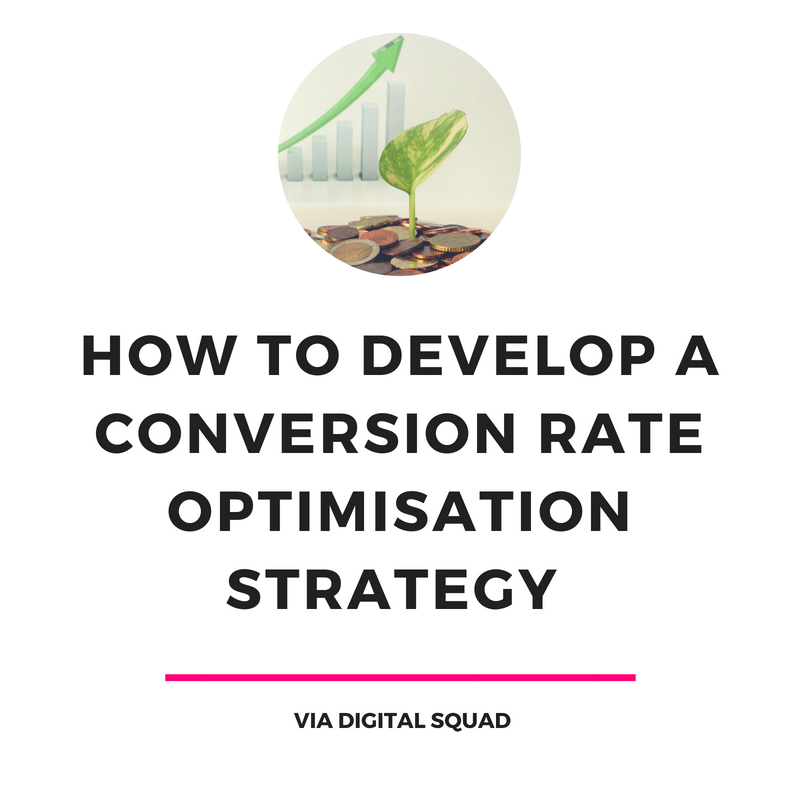 Once you have sat down with your team and discussed the marketing strategy that you will use this year, it’s time to talk about conversion rate optimisation. Conversion rate optimisation (CRO) is one piece of the marketing puzzle, but putting time and resources into CRO will help you ensure that the other pieces are set to each an optimal conversion rate and move more website visitors through the buyer’s journey. Conversion rate optimisation sets your marketing team up for success by adjusting your digital materials to reach and convert more website visitors. When website visitors visit your pages, they will rarely use that time to talk to a sales representative or anyone else from your team. You only have a few seconds to grab their attention with the material from your landing pages. Similar to a B2B marketing strategy, content strategy, or any other plan you have for your business, your team needs to document your strategy and hold your team accountable for making the changes you plan to implement. CRO best practices aren’t always what they seem when you first draw out your strategy. When you need to change and adjust your strategy, a physical or online document will help you keep track of adjustments while keeping on the path to your goals. When you go back and reflect on your CRO efforts, your team will be able to see what you did well, what you can improve for your next campaign, and what CRO best practices you can continue to test and implement moving forward. Less than one in four businesses are satisfied with their conversion rate, but that doesn’t mean they have a clear goal in mind. Before you start optimising your conversion rate and putting your strategy into motion, have set goals that you can refer back to and share with your team. These numbers should reflect what type of conversions your team wants to improve in the first place. There are many opportunities for website visitors to “convert” throughout the buyer’s journey. They could “convert” to a lead by leaving their phone number on your website, becoming an email subscriber, etc. Maybe your conversion rate refers to leads converting to customers, or general website visitors converting to becoming a customer. Keep your goals measurable and realistic, especially when you compare it to your current conversion rate and conversion rates within your industry. A conversion goal of 11% would be desirable, but not necessarily probable if you are currently looking at a 1% conversion. Most companies fall within a 1-3% conversion rate, with higher-performing businesses reaching 5% or even above 10%. Strive for goals just beyond what you will be satisfied in the year or after your campaign has finished. Google Analytics can be confusing to navigate when you first use it, but metrics from analytics can give you in-depth insight about how your users navigate your site. Behavior shows where website visitors are entering your site, how long they are reading your content, and where they go next. You can also see where users are dropping off and the bounce rate for each individual landing page. This can be a great tool for catching errors on your website that affect overall user experience. Events show you details about when visitors are engage in certain events (downloads, outbound clicks, etc.) Additional codes can be implemented to track specific events. Heat maps provide a deeper look into online behavior and how your website visitors are interacting with your landing pages. There are many different heat maps that you can use to track online activity. Some heat maps record what days and times visitors are active, and others delve deeper to show where customers are clicking and where they are scrolling. This data can show you what parts of your design are most appealing to customers and what parts are being ignored. Get insight from the people who know best about converting website visitors; the visitors that were converted themselves. Get feedback from email subscribers or current customers about what brought them to your landing pages and what led them to convert. Sit down with customers for interviews and record the language they use to describe their needs and what they were looking for when they found your company. Conversion rate optimisation requires a thorough look at all your landing pages. (And your business may require more landing pages than you think to boost conversion rates!) Each element of your pages will have an impact on the way users interact with your site and make their final purchase decision. What is this page communicating to website visitors? What buyer personas are most likely to visit this website? What content catches the visitor’s attention first? Second? Third? How does the landing page look on desktops of different sizes, mobile devices, or tablets? What content could be saved for an email confirmation or subsequent landing page? What keywords are these landing pages optimised for? Do they require further SEO? Where are CTA buttons placed on the webpage? How visible are they to visitors across devices and screens? How does the CTA button entice visitors? What are they getting out of clicking? How does the design of the CTA button attract attention? You will see a lot of resources online that treat CRO and A/B testing as if they were the same process. Remember that A/B testing is just one tactic in your overall CRO strategy. If you run a lot of A/B tests, you will be able to make minor changes to your website (changing the color of a CTA button, adding a word or two to your email headlines.) These changes can make a difference, but relying solely on A/B tests will not be able to give you the context to continue making these decisions without A/B tests in the future. Learn the “why” behind the statistics with a comprehensive CRO strategy. The results of your initial data collection may reveal some surprising insight about what your website visitors are looking for and what you can do to boost conversions. When you lay out your CRO strategy, consider the time it will take to implement that strategy and make any necessary adjustments. A/B testing is an ongoing process, and the first adjustments to your landing page and marketing materials will need time to produce results that will reflect how they will perform throughout the year. Ready to Create an Effective CRO Strategy? Call Digital Squad. Whether this is the first time you are looking to optimise conversion rates or just the first time this year, partner up with a digital agency that has experience going through your current marketing strategy and seamlessly adding a CRO strategy. Companies such as Electricity Monster have improved conversion rates to as high as 40% on their landing pages with CRO. This is where Digital Squad comes in. Our team has the resources and experience to guide you through the process of building an effective CRO strategy that will look at every opportunity your business has to boost conversion rates, boost ROI, and reach your goals for growth during your next marketing campaign. Our team also offers SEO, AdWords, and content marketing services to accompany your CRO strategy. Learn more about conversion rate optimisation with Digital Squad.